get together for a group portrait. You might have noticed that The Dictator is no more. Oh, I don't mean any of the live ones that pockmark our globe. Those are doing just fine. 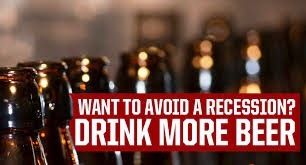 I mean our home-grown Israeli craft beer, known for its unmistakable in-your-face brand, its often over-the-top beer styles, and the extrovert antics of its founder and brewer, Yotam Baras. 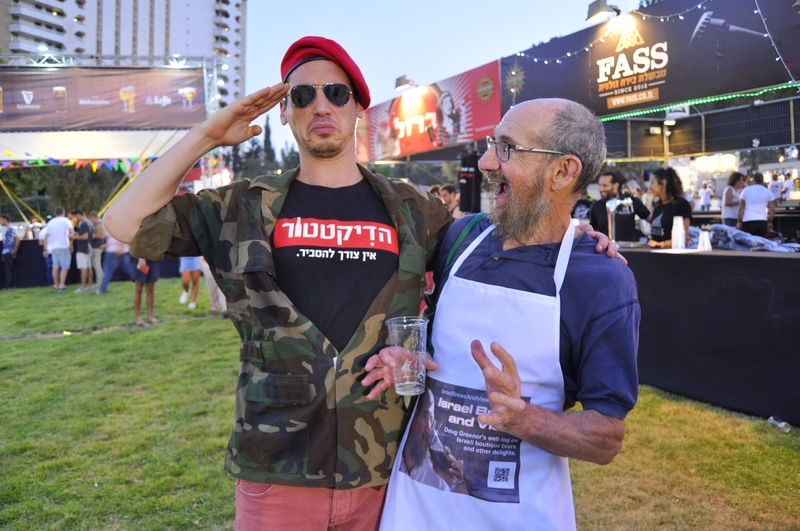 Yotam started brewing and marketing The Dictator over five years ago, and then took a break to head up marketing for a major Israeli alcohol importer. "When I restarted The Dictator two years ago, I gave myself two years to build up the brand, increase sales, and find an investor," Yotam told me in a telephone interview. The old blogger smiling with Yotam Baras . 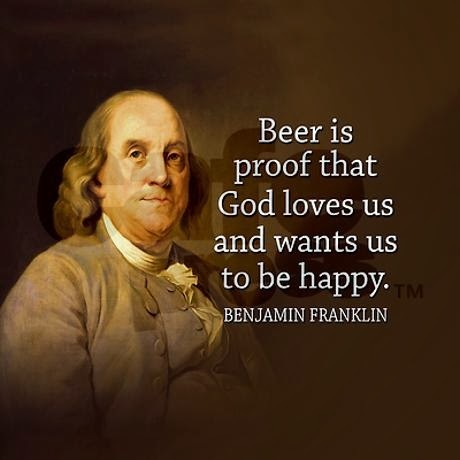 . .
"I think we accomplished the first two goals: The Dictator beer is a well-known Israeli brand, and sales were at 3,000 liters a month. But we couldn't find an investor." Without an investor to open their own brewery, The Dictator had to contract brew in another brewery, where costs were very high. "I don't see how any contract brewer can survive in Israel," said Yotam, "unless they have a strong company or distributor behind them. I could have contract brewed The Dictator abroad for 30% less money, but I wanted an Israeli beer. 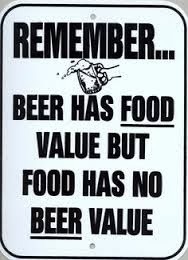 For our beers, we had to pay the brewery almost the same prices that retail stores and pubs pay for their beers. That was an impossible situation.
. . . and cringing from The Dictator's evil mien. 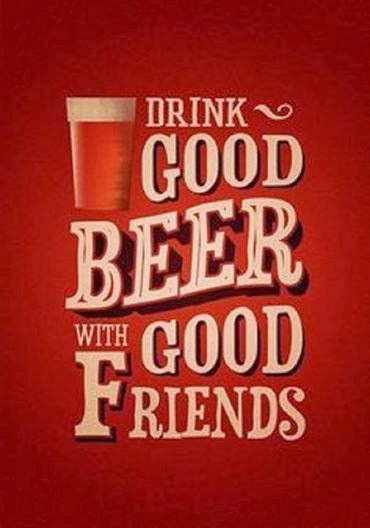 "The only way to bring down the cost of making beer is to have your own brewery -- and for that we needed the investor." While The Dictator was in business, Yotam brewed five core and seasonal beers -- English Bitter, Irish Red, Pale Ale, Porter and IPA. 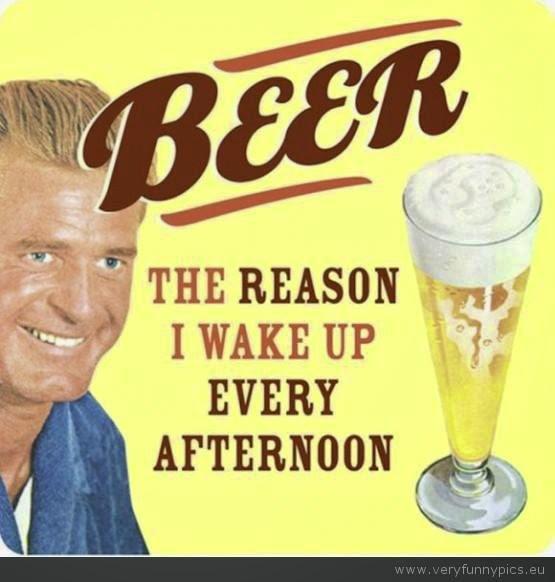 Each beer had its own infamous tyrant or inhuman monster on the label, for example, Saddam Hussein, Idi Amin, and Lenin. He also brewed an outrageous whisky beer, made first with Laphroig and then with Big Peat Scotch whiskies. These smoky monsters weren't for everyone, but those who loved them eagerly waited for new batches to be released every year or so. 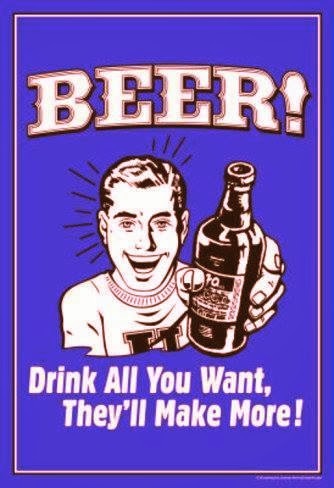 The strongest Israeli beer in the world." The Dictator's last beer brought extremism to its most extreme. 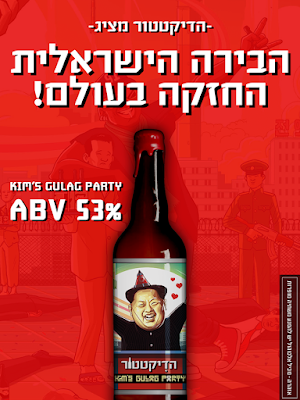 The beer is named Kim's Gulag Party. What could they be thinking? 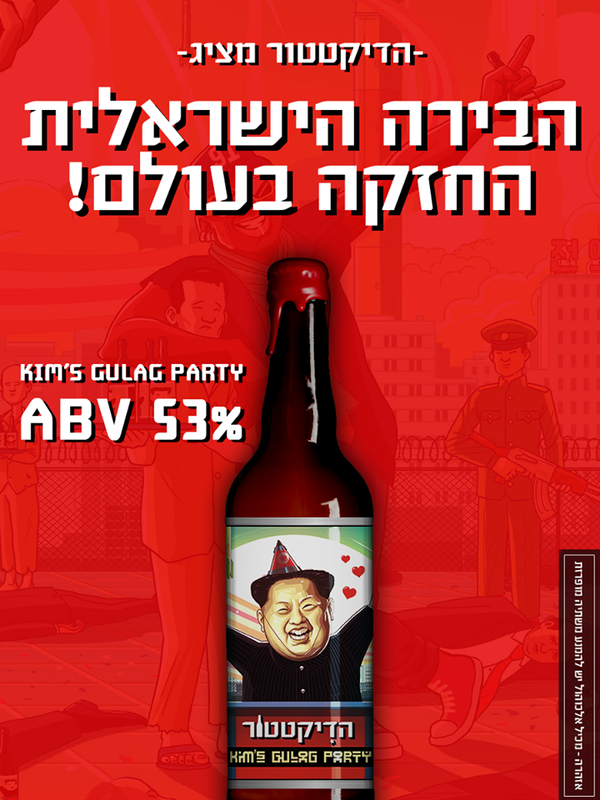 Named for North Korean dictator Kim Jong-un, Yotam says that it was brewed for the Supreme Leader's "End of the World Party." Fortunately for us, the party was indefinitely postponed when Dearly Beloved Kim met with Donald Trump. They say the beer has a beautiful aroma of hops as well as a balancing malt sweetness. Still, I must admit I've never tasted Kim's Gulag Party. One of the reasons might be that bottles sell for over 700 shekels -- around $200! Alcohol by volume is an unbelievable 53%, that is, 106 proof -- higher than almost all whiskies. Yotam achieved this alcoholic strength using a painstaking procedure known as "freeze distillation." 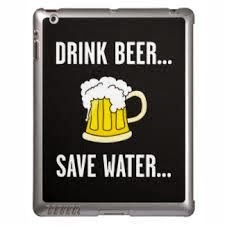 It's not really distillation, but a process whereby the original beer (or any alcoholic beverage) is brought to a low temperature where the water separates and freezes. The ice is then removed and what's left is a liquid with a higher concentration of alcohol. Repeating this in several stages let Yotam reach 53% alcohol. "It's not the strongest beer in the world," Yotam admits, "but it is the strongest in Israel." Instead of this being the world's last beer, before the final countdown, it ended up being The Dictator's final beer. Yotam still believes an investor can be found and The Dictator will be back in power. For now, he has begun working as marketing director for a new brewery. 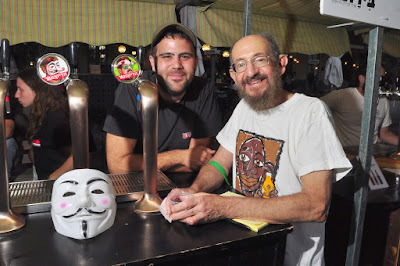 It seems like Yotam Baras will continue to play a role on the Israeli craft beer scene, with or without The Dictator. Thanks for your comment. L'chayim! Write to me: Click here!